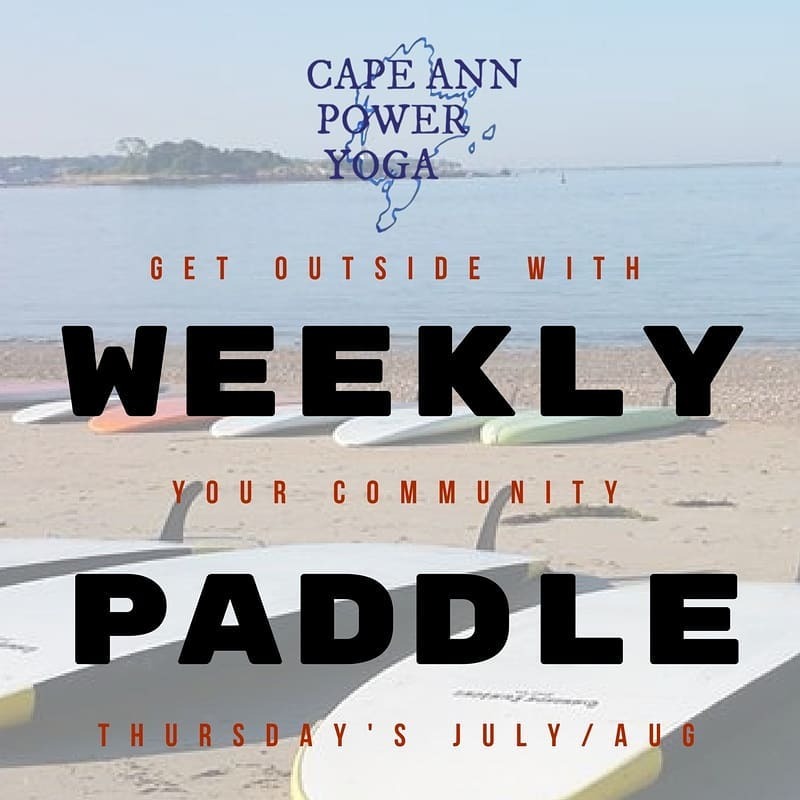 We've teamed up with Cape Ann SUP to give you a great summer activity! Every Thursday afternoon Cape Ann SUP will lead a community paddle leaving from Pavilion Beach. One of their kind and knowledgable crew will get everyone geared up and lead the way. This will be a perfect way to get outside, stay connected to your yoga community, and make some new friends. If you're new to SUP this will be a friendly way to get started. If you're an experienced paddler we'll love having your knowledge and confidence in the group! The cost of $40 includes rental equipment, if you have your own gear it's $20.